The acting debut of Anurag Kashyap has been confirmed in Tamil cinema with the latest Tamil movie, Imaikka Nodigal. The famous Bollywood movie director who has already played some of the significant roles in the Bollywood movies has now turned villainous for this south Indian movie. The director will now be seen playing the role of an extreme antagonist alongside with the star cast of Nayanthara and Atharvaa Murali. Nayanthara, known for his powerful performances will be seen exploring the intensity of his acting talent in this new Tamil movie, Imaikka Nodigal. Post winning the Filmfare Award 2018 for Aramm, the actress is now prepping for this action-packed avatar of a cop. Another Filmfare Award winner of 2018, Vijay Sethupati is doing a cameo in this Tollywood movie by playing the role of Nayanthara’s husband. Now the biggest scary thing in this movie is the menacing way of villain which is played by none other than Anurag Kashyap who will instill fear in everyone. Featuring Atharvaa Murali and Raashi Khanna in the movie, both will be playing the role of a couple. Imaikka Nodigal is a game of cat and mouse played between the cop and a criminal but the psychotic killings and the thrilling elements of this Tamil movie shall work as an addition to the drama and intrigue. 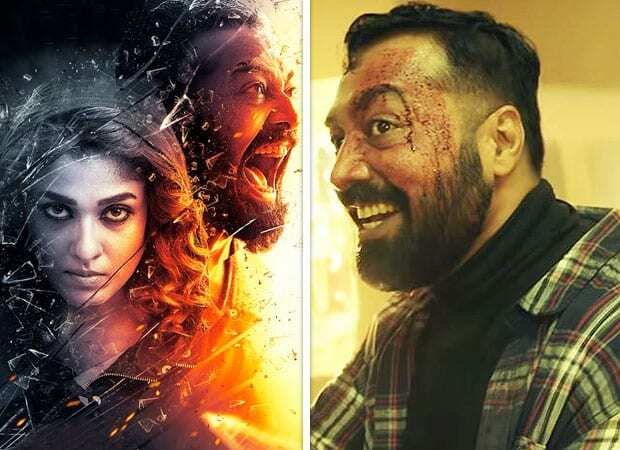 Seeing the trailer, you can tell on your own that chase game between Nayanthara as a cop and the unforgettable creepy act of Anurag Kashyap is unbelievingly interesting. A little closer look on the role played by Anurag Kashyap makes us see him doing more similar roles in the Bollywood as well. Additionally, the plotline seems to be doing a touch upon the entire cop drama which turns against Nayanthara and her family, the Tamil movie trailer of Imaikka Nodigal doesn’t give away too much. Speaking about the Imaikka Nodigal which is directed by R. Ajay Gnanamuthu has Hiphop Tamizha for its music and Pattukottai Prabhakar as the writer. The director of photography for the film is R.D Rajashekhar.